Posted: Wed Apr 18, 2018 7:50 pm Post subject: ROW S2 931 reliable 300whp How is it done? While i'm waiting for my new workshop to be finished i'm starting to plan the performance upgrades i want to be done on my 931. The goal is to make 300whp and 1100kg. This is not a budget build(i want it to be done right) but i don't want it to get all crazy so i guess there are room for decent turbo, internals and ecu. I'm an aircraft technician and F16 crew chief but are currently studying mechanical engineering at university. I have(well soon again) a well equipped workshop with lathe, mill, MIG and TIG. Looking forward to hear your ideas or just linkt to build post that send me in the right direction. What do you want to use the car for? Or is it just an exercise to see a number on a dyno plot? I used a K27/k26 hybrid turbo that gave a dramatic and impressive power delivery on the 2L S2 engine. I want to use the car for hooning around and occasionally track day stuff. so i guess it's like a fast street car i want to build. I have read into the K27/k26 option and my car already have something similar on it now. But i want a more modern integrated wastegate setup like some of Holset turbochargers. I like the packaging and weight gains of the more compact turbo designs. Right, then HX35 +VEMS but I think its a very tight squeeze in the stock location...perhaps move it forward a bit...you need to do a custom manifold to benefit from the new turbo anyway. Regarding the K27 hybrid, how similar? the different wheels and compressors make a world of difference...as well as the turbine you used and the amount of advance you run off and on boost. I ran the smallest inlet K27 compressor and wheel with the #6 turbine and the ECU from a Carrera GT, that was quite a bit of difference to the normal turbine, car drove 265km/h but you needed to ride the boost wave to be effective. If I knew then what I know now, my money would be spent on their motor versus the £5k on my engine rebuild and further £2-3k on other performance enhancements under the bonnet. Sorry, but mittlemotors numbers are not correct, the 26xx wheels just can't flow that much, they seem to use very large corrections on the dyno numbers aswell, anyway, not a discussion for this space. Though they obviously make good power, but it isn't exactly the most simple or cheap solution. According to my simulations a Mitsubishi td07 #7 combined with a 19t compressor should make a really nice responsive turbo for 300-340hp. The mitsus are very well regarded among us who works with this. Would try to keep it on the exhaust side for minimal exhaust manifold volume. Preferably twin scroll. Though td05 is a beter choice they are much harder to come by. It's possible on the stock manifold aswell as Joakim has proved with almost 400hp on it,but not optimal, I think his rewelded manifold with garret flange is for sale btw, maybe the turbo aswell, would be close to bolt on. Add a light port and cam to your list, will make it easier to get the power at the top end. If you can find one a TD05 16g Twin scroll turbo would be my preferred weapon of choice. The TD05 have larger wheels and better efficiency than the 04s, at a higher price point though. A well proven turbo for these kinds of power levels. Making it twin scroll would be a preferred solution for an engine like ours with fixed cam timing. Then you will have good separation between the banks, thus low levels of residual gases in the cylinders, this will make it possible to go for much more aggressive timing. And also make it possible to use far more aggressive cams when it comes to overlap and exhaust duration. This was shown on Joakims engine, which ran much better with the TS manfold and had much lower EGTs. Its the one in the video below. Though a log TS manifold would most likely made similar results, and is much easier to build. I made some simulations in the 931 model on the twin scroll subject, but i dont have the data in front of me now, i think the trends were similar to this mag tests, that was disregarding any cam or timing poissibilities. Here you can see the IC im putting in my car, it was in Joakims car before, he ran 400hp with this one, even though its not at all an optimum design, it shows there ais lots of room up front for a pretty big one. I'm actually planning to build/mod a new intake, at some point... I have a stock 931 intake we cut the top of the plenum from. I plan to build a new plenum on the runners with the throttle up front, like the GTS, to fit well with the 951 FMIC I want to graft in. I don't plan the turbo swap and exhaust change, at least not yet, still stock CIS for a while, so not the same power targets, however. I've got plenty of much more powerful cars available to me, no need to make a mess of my one fun little street car to make numbers! CIS is out of the question. There are no support locally and i don't want to spend half of the building time trying to compensate for an outdated system. What have people done to the internals. I have been through the forum and can see that people try all sorts of combination, but what need to be done on it? Obviously pistons but which? and how about compression ratio? Then how about rods? are the std. forged rods adequate? Head work? cam? solid lifters, big valves...? I just want to make a good build sheet made, so i have something to work from so i can start to acquire some of the key parts. Great idea about using the runners of the original intake manifold... I guess it could be done to resemble the CGTR intake. I also have an aluminum foundry at home so considerate casting one myself but i would be a lot of work to get it right due to shrinkage and such plus the core would be a nightmare to make. My daily is a 2006 Mercedes S500 so want my 931 to be the complete opposite. The S500 is really lazy and detached but obviously fast. My turbo have to be involved but faster than the Merc therefore 1100kg and 300whp. Why anyone would chose a HX35 for such an application over a TD05 is puzzling. Rods seems to hold up, at least if you keep RPMS sensible. Joakim has Verdi rods, almost half the weight of the std ones, at a cost though, i wouldnt for a 300hp car. Is it a track car or street car? Makes a massive difference. Dont forget about radiatior and oil cooler upgrade, which you most likely would want. 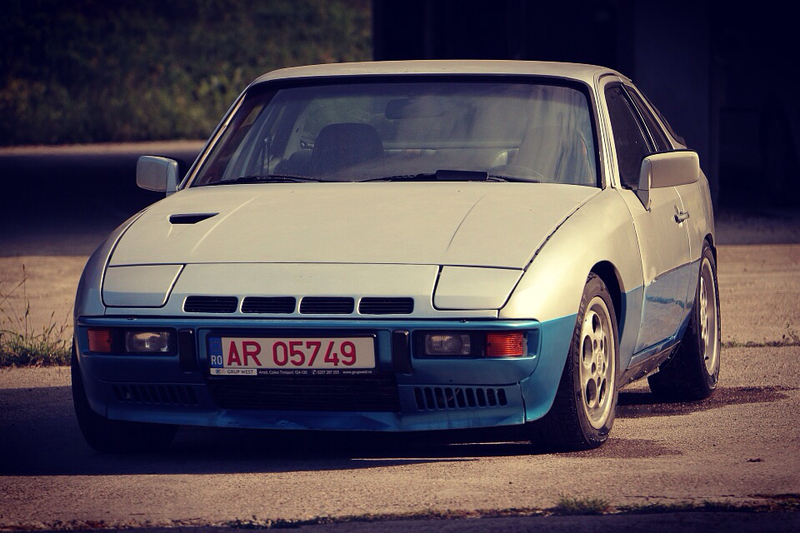 As i wrote the car is just for hooning around and occasionally trackdays i like to think of it as a hot rod style 924. It will have fibreglass panels, plastic windows and roll cage but just because i think it is cool and enjoy the engineering that goes into making it. 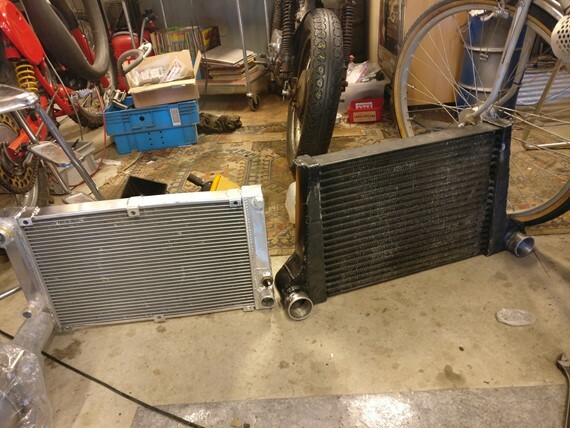 Concerning cooling i plan on shifting to an aluminum radiator and larger oil cooler. Great to hear that the stock rods can are proven to hold up to that power figures! The internals in my engine is standard rebuild 924 N/A block with pistons, just milled 2mm down, and then the standard 931 rebuild head on top. Then I bought a VEMS EFI setup with wasted spark from Peep(Raceboy on this forum) from Estonia. The turbo will be placed on the drivers side of the engine, ot is a turbo from a 2,9 CRDi engine. (Cheap, maybe i will chanhe it later). Then an alu flywheel and a pressure plate from a 911 together with a custom made friction plate. The weight of the cluth assembly is around 40 % less than original. I would wait with the manifold though, far down on the list.